Since 1993 through 2016, we have given more than $140,000 to Projects, and another $26,000 to Earthquake Relief, for a total of $170,000! Also, the Washington, DC area has had a Cumhuriyet Bayram Dinner for 32 consecutive years. Arkadaşlar now is providing four-year postsecondary scholarships to eight students in Turkey. To honor this Turkey I volunteer, a memorial fund was established in 1999 to support the Pediatric Neurological Laboratory specializing in childhood epilepsy at the Hacettepe University Hospital in Ankara. Its mission is to build peace through empowering individuals from diverse backgrounds in Turkey and Cyprus. It helps groups with different ethnic and cultural backgrounds to work together to address common interests and achieve mutual goals. Its goal is to strengthen relationships through increased understanding. It is a US-based 501(c)(3) organization. For more information see www.hasna.org. This is a US-based 501(c)(3) organization whose mission is to give hope and create opportunity to Turkish children and youth to pursue their education and realize their potential. To achieve this goal, BOHP unites the Turkish-American community and friends of Turkey to raise awareness and resources to support educational projects, and build alliances with other nonprofit organizations. For more information about BOHP, see: www.bridgesofhopeproject.org. This school in Adana serves children with various mental and physical challenges. Our Website has pictures at www.arkadaslar.info/sevinc_abla_school.htm. Right: Gift of artwork to Arkadaşlar from Sevinç Abla School. This US-based 501(c)(3) organization supports the maintenance and development of local crafts from Turkey, with profits from US sales sustaining this effort. 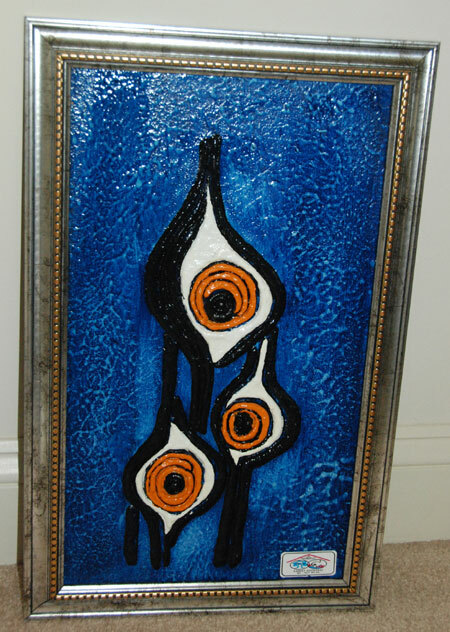 For more information, see www.anatolianartisans.org. The vision of KuzeyDoğa Society is to prevent extinctions and consequent collapses of critical ecosystem processes while making sure that human communities benefit from conservation as much as the wildlife they help conserve. For more information, see www.kuzeydoga.org. 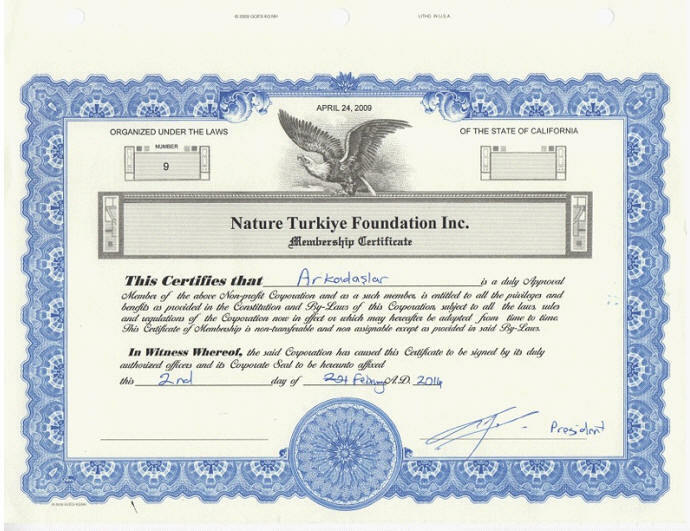 Below: Membership Certificate in Nature Türkiye from Cağan Şekercioğlu presented Arkadaşlar with thanks for our contributions to KuzeyDoğa.